Provincial Meadows offer a full range of landscape design services from basic garden tidy ups, turfing, fencing and the laying of new driveways. 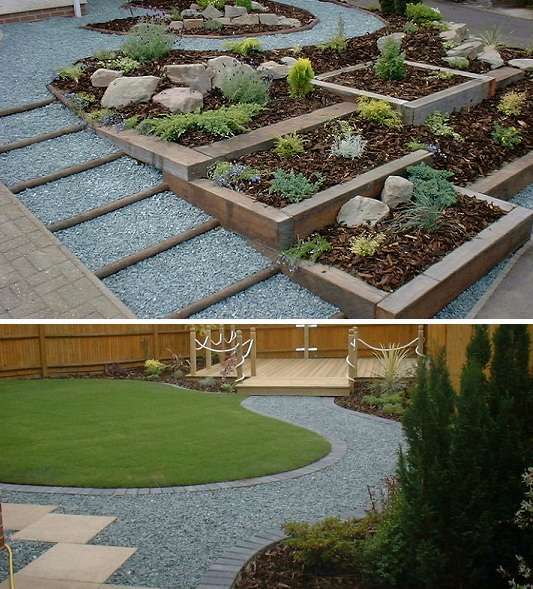 In short all the services you would expect from a top landscape design contractor. We believe your garden should be a place you can spend time in to relax. This is why we strive to offer all you need for a well maintained, beautiful garden. Whatever the challenge we are confident that our team of landscapers will be able to transform your outdoor space into an exciting area you can enjoy all year. The projects we have undertaken in the last 20 years are too numerous to list but include dozens of driveways and patios across Southampton, vegetable gardens with raised beds, pergolas and gazebos and even the construction of a classroom made of straw bales! We have installed miles of fencing and decking throughout Southampton. Installing both softwood and hardwood decks. We pride ourselves on our ingenuity and flexibility, we listen to what our customers want and deliver your dream on your budget.